Whether this is your first serious trip with a little one in tow, you’re dealing with independent-minded teens, or you’re bringing along a large clan, we can help you design an experience that’s right for your family. 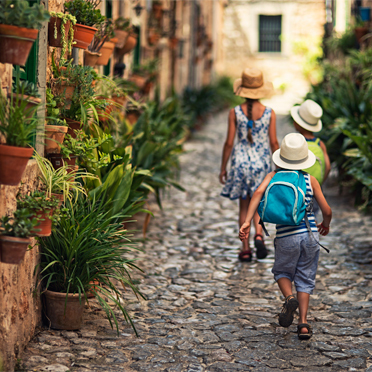 Spain and Portugal are fantastic countries to travel with children of any age. Both Spaniards and Portuguese dote on the young ones and we encourage you and your family to adapt to the lifestyle during your vacation…. Your children will love you for it, especially as it means staying up later and enjoying the life in the local restaurants, squares and parks. 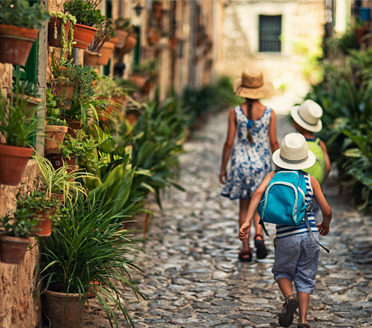 Even without the activities we arrange, Spain and Portugal are great bases just “to be” for the family, as you let the lifestyle wash over you. This is your vacation though and it’s well worth planning fun and unique activities in advance to make sure you make the most of every day. From the main cities to quaint villages and rural areas, there are a whole range of fun and exciting activities for you and your children to embrace. A city tour that combines history with tastings of family favorites especially chocolate! Prime seats for a Liga game or even insider’s soccer at one of big Spain’s big clubs. Tile painting workshop in Lisbon and beyond! & wherever you travel, we always carefully select the best guides that best suit your family needs and preferences in each place. There were so many little extras/upgrades that meant a lot to our family. 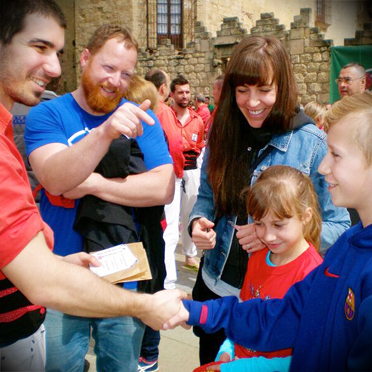 You arranged soccer jerseys for my children to wear to the soccer matches, arranged a birthday activity and gift for my daughter, and really developed a perfect trip for us. My children really loved the biking tour, pottery / tile making, high speed trains, and anything else that strayed from the typical walking tours, although the guides really catered to the kids on the walking tours as well! 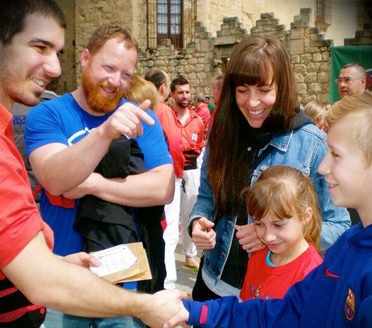 [Our guides] were wonderful story tellers of the history of Spain. We really enjoyed them personally, too. Other highlights were the segway tour, wine tasting, and the cooking class. And the bike tour was a good way to get acclimated to Barcelona on our first day there… Your customer service was impeccable…we ALL agreed this was our best family vacation ever. No one could believe that we got tickets to the Real Madrid/FC Barcelona game, and the seats were FANTASTIC! We were about 8 rows up from the field – the kids were totally excited and it really was the highlight of our trip. Our excursion to Toledo with our guide was phenomenal. She was energetic and engaging with the kids. She had a lot of anecdotal stories the kids loved, and just knew how to capture their attention. 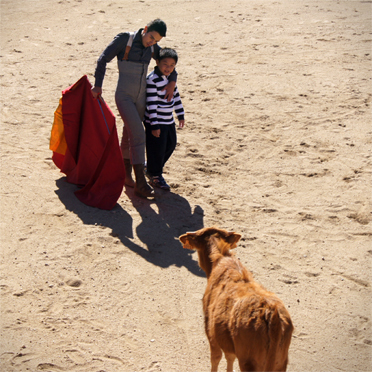 The Sevilla guide was great with the kids, and cognizant of keeping their attention. We liked his style of “quizzing” the kids about facts, to draw them into his stories. 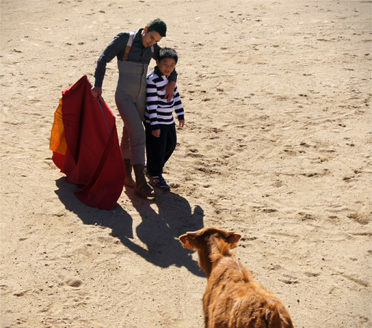 At the bull farm, the matador talked to us about “dancing with the bulls” and what his life is like. He demonstrated his craft for us. And he even played with the kids, charging at them will bull horns! What an amazing experience that was! There was something for everyone – Jack loved the soccer stadiums; Annie was enthralled with the castles, and Maggie got to do some bird watching in Barcelona.